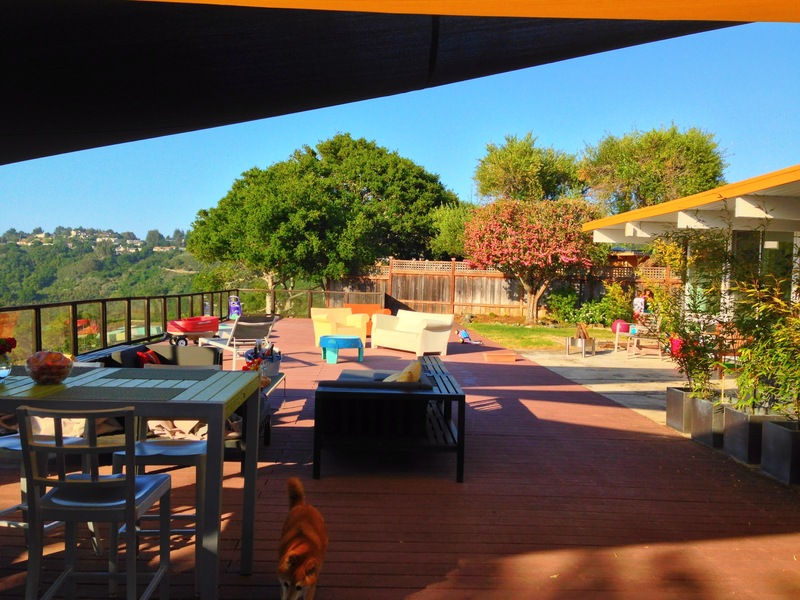 Having spent most of the day lounging on my friend’s huge deck during our brief brush with summer recently, thoughts of creating a serene outdoor space were fresh on my mind. 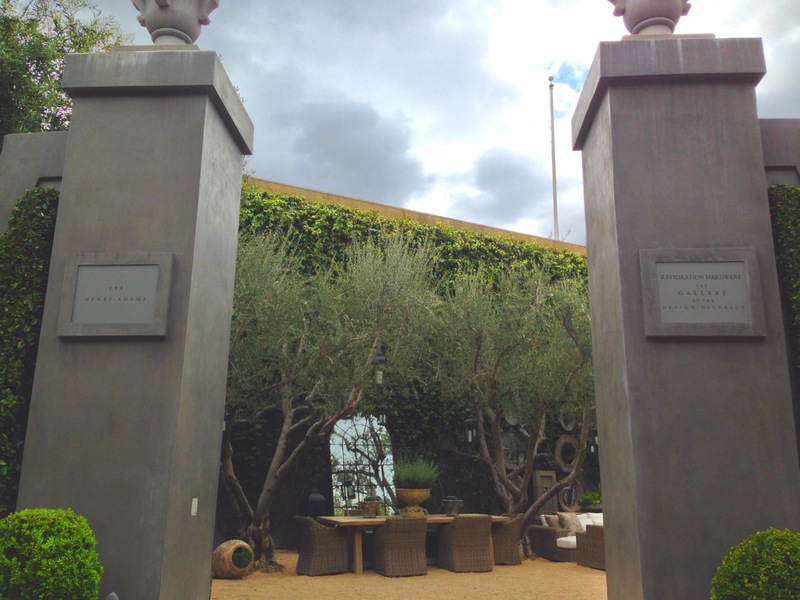 Enter the gates of Restoration Hardware in San Francisco’s Design District, a playground for the artistically superior and those eager to spend their immeasurable disposable incomes. …which is exactly why I had to make a stop. 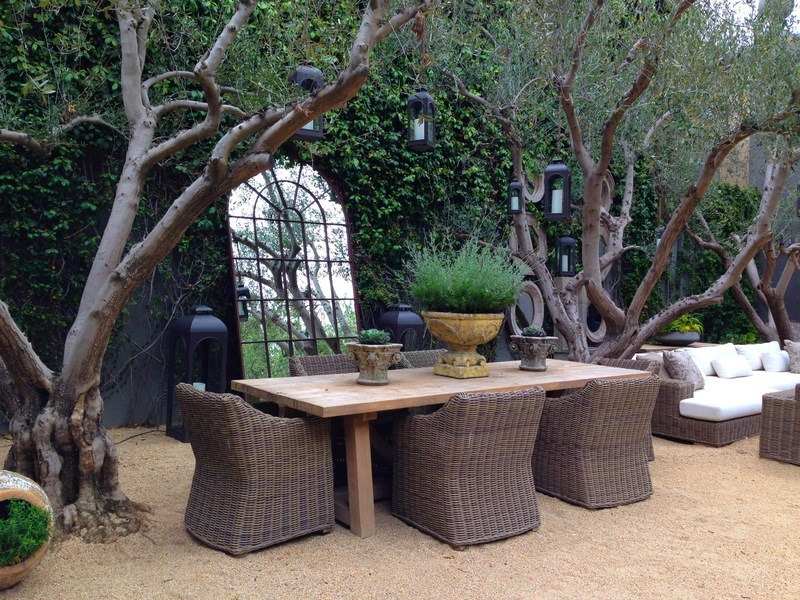 All kidding aside, I’ve never really been drawn to Restoration Hardware. Keep in mind that I love a good deal, so my natural tendency is to avoid paying retail for anything. But the entrance offered just enough of a visual tease to lure me in. 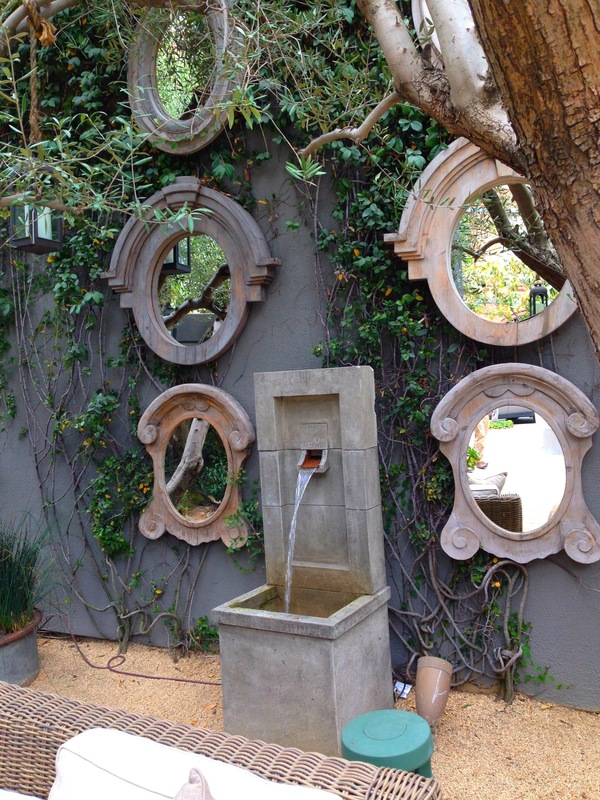 Mirrors and water for feng shui fulfillment? Check. Dining area under enchanted forest-like foliage? Check. Couch that invites you to nap under candlelight while staring at attractive succulents? Check. Water feature wall next to Goldilocks and the Three Bears sitting area? Check. Lazy afternoons with Phoebe (my poodle mix that I’m in love with in case you haven’t read my “About Me” section) and Aldo (my partner-in-crime that I’m in love with in case you haven’t read my “About Me” section) doing what we don’t do enough of: nothing. But perhaps the best mind candy was saved for last, and it wasn’t outside. I’d love to stay and blog, but a glass of bubbly, a really good book (no, it’s not Twilight), and a deliciously warm bath underneath a glorious chandelier are waiting for me. P.S. Restoration Hardware is not paying me for this post. In fact, no one is paying me for any of my posts. I guess I just feel the need to clarify this in italics here. 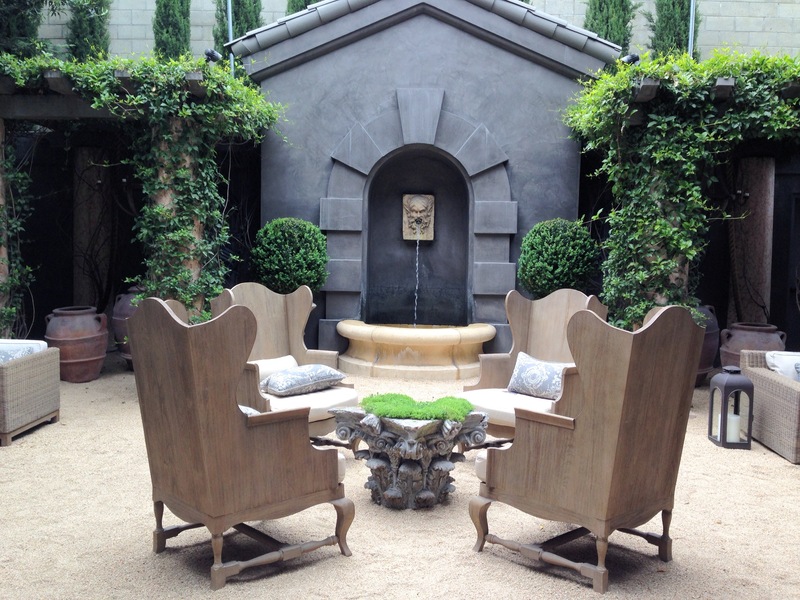 To see it yourself: Restoration Hardware Gallery at the San Francisco Design District, 188 Henry Adams St. (415) 865-0407. Hours: noon-5 p.m. Sun., 9 a.m.-6 p.m. Mon.-Wed. and Fri., until 7 p.m. Thurs., 10 a.m.-7 p.m. Sat. Gah. 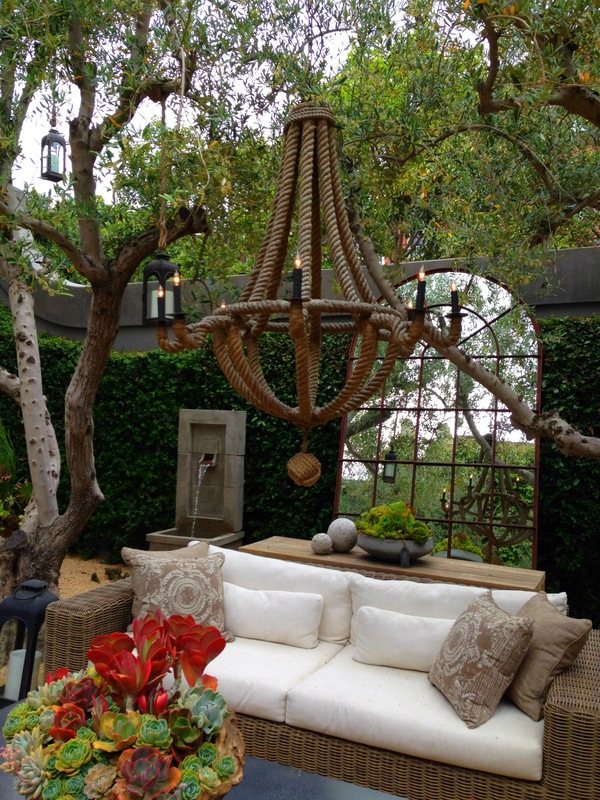 That seating area rocks. I feel I need more attractive succulents in my life too. Okay, you got me with Phoebs and the men in ethereal loincloths! 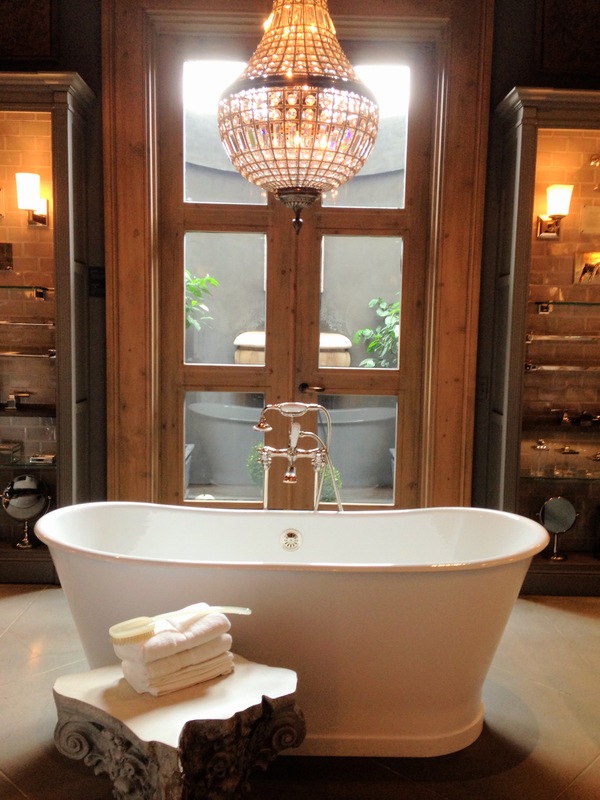 Where’s the nearest Restoration Hardware…darn it! Wonder if I can convince the fiance to play pool boy..hmmmm.